A band of upstart winemakers is trying to redefine what California wine should taste like — and enraging America’s most famous oenophile in the process. 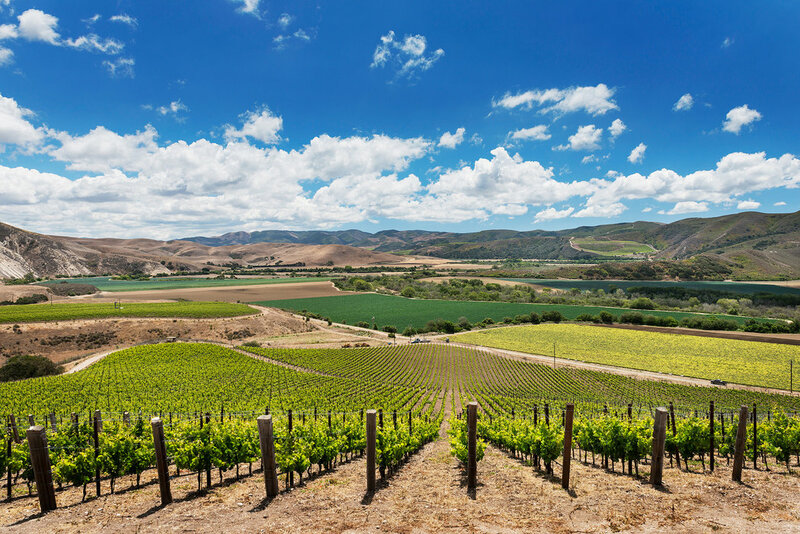 In the steep hills of Central California near Lompoc, on a slope that runs along Santa Rosa Road, two vineyards lie side by side. To all appearances, the Sea Smoke and Wenzlau properties occupy one continuous parcel of land. The vines are indistinguishable; they grow in the same soil and get the same sunlight. Nevertheless, grapes planted only a few feet apart end up in bottles of pinot noir that have little in common. Early one recent morning, Parr took me to La Côte vineyard, several miles inland from the Pacific Ocean. The sun was shining when I left Santa Barbara, where the temperature was headed for the 70s. I knew Parr preferred sites that were far cooler than the surrounding area, but it hadn’t occurred to me to bring a jacket. By the time we reached the vineyard, rain was falling hard. The temperature was 49 degrees, and the whipping wind made it feel colder. Grapes grew all around me, but it was the least hospitable vineyard I’ve ever visited, more like a gathering spot for Celtic druids than a setting suitable for the cultivation of fruit. Most California winemakers, it’s safe to say, are trying to produce something more like Sea Smoke than Domaine de la Côte. Before Napa Valley’s emergence in the ­1980s, highly regarded wines were made in regions — mostly various places in France — where cool, wet summers tended to undermine agricultural efforts. The standout vintages were from the warmest years, those infrequent occasions when grapes reached full maturity before being picked. In California, where sunshine is abundant, ripeness is rarely an issue. Fully ripe wines are possible not only once or twice a decade, but just about every year. If ripe wines are considered good, many California producers reasoned, those made from grapes brought to the brink of desiccation, to the peak of ripeness (or even a bit beyond), should taste even better. That logical leap has created a new American vernacular for wine, a dense, opaque fruitiness well suited to a nation of Pepsi drinkers. More sweet fruit, more of the glycerol that makes wine feel thicker in the mouth, more alcohol. And by extension, more pleasure. Pleasure is a matter of opinion, of course. 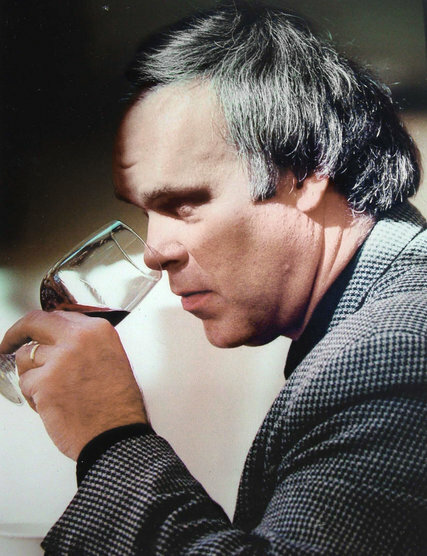 But for three decades, the tastes of mainstream American wine drinkers have been shaped by the personal preferences of one man, Robert M. Parker Jr. A 2013 inductee of the California Vintners Hall of Fame — as a reviewer — Parker has been anointed by The Atlantic Monthly as “the most influential critic in the world,” all genres included. As it happens, he has made a career out of championing exactly the style of wine that Parr and his colleagues disdain. In my conversations with them, no phrase elicited more derision than “Parker wines.” It was shorthand, fair or not, for wines they deem generically obvious and overblown. Until a few years ago, if you wanted to drink a wine with a European sense of proportion, you bought a European wine. 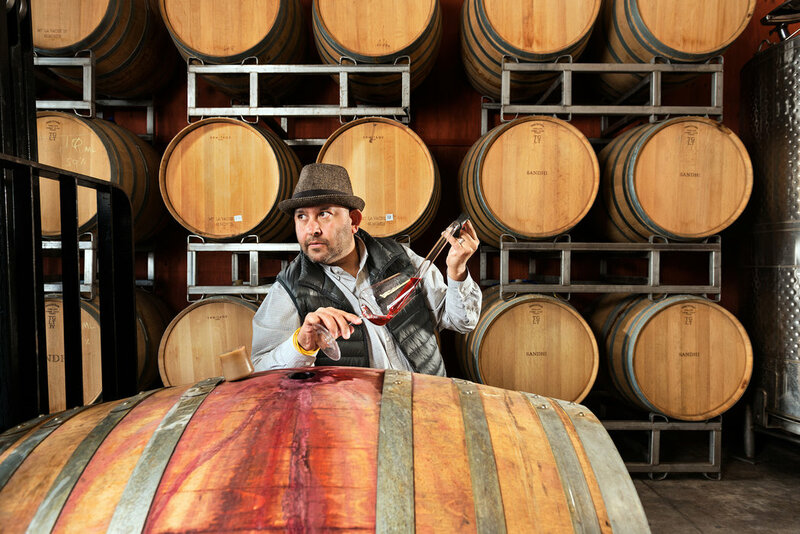 In 2011, in reaction to an American marketplace that they perceived to be dismissive of California wines made in anything but the superripe style, Parr and Jasmine Hirsch of Hirsch Vineyards in Sonoma County began soliciting members for a loose confederation of pinot-­noir producers called In Pursuit of Balance. The group, which charges a $900 annual fee, conducts what amounts to a political campaign on behalf of viticultural restraint. Most of its 33 members — located from Anderson Valley, about 100 miles north of San Francisco, to Santa Barbara — make modest amounts of wine, somewhere between 40,000 and 60,000 bottles a year. That’s too small, typically, to have much of a marketing budget. But by joining the group, which stages tastings around the country (and sometimes abroad), they’re able to reach the consumers who are most likely to appreciate their wines. In recent months, many of these have started appearing in shops and on wine lists. At some restaurants in Brooklyn and certain San Francisco neighborhoods, for example, theirs are the only domestic wines available. The success of this nonconformist group, a sort of guerrilla movement against the California mainstream, has prompted invective-­filled exchanges on Internet bulletin boards, blogs and Twitter feeds. Partisans fight over alcohol levels, the proper role of critics and whether restaurants should be trying to influence their customers’ tastes by carrying only certain styles of wine. At its core, though, the debate is about the philosophical purpose of fine wine. Should oenologists try to make beverages that are merely delicious? Or should the ideal be something more profound and intellectually stimulating? Are the best wines the equivalent of Hollywood blockbusters or art-house films? And who gets to decide? Standing at the rear of a glass-­enclosed atrium in TriBeCa one morning in February, Parr looked out over more than a thousand wineglasses, each partly filled with pinot noir. This was the fifth annual In Pursuit of Balance tasting in New York, held for the benefit of perhaps a hundred retailers, journalists and sommeliers and a few wine-­geek consumers who paid $125 each to hear dialogues about sugar levels, crop thinning and the Burgundian mind-set. Onstage, panel after panel of winemakers extolled the benefits of modest alcohol levels. (These included, in addition to enhanced aromatics and more subtlety and elegance, the capacity for a drinker to consume more wine before getting drunk.) The speakers were in such ideological alignment that I might have been watching a campaign rally. “That’s when a light bulb went off in my head,” one panelist, Bradley Brown of Big Basin Wines, said of his epiphany after drinking a particular bottle of Burgundy. “It has to be possible to make more perfumed — more aromatically driven — wines in California.” Beside me, Parr nodded vigorously. Now 42, with a teddy-­bear physique, Parr spent nearly two decades serving wine and putting together wine lists for some of America’s most highly esteemed restaurants. Born Rajat Parashar in Kolkata, India, he Anglicized his surname to Parr and later became an American citizen. But he never embraced American wine. In the early 2000s, he recalls, he drank a syrah from the Rhone Valley in France with another sommelier. Like other Rhone wines, it impressed him less with its fruit flavor than with its hints at things that couldn’t possibly be in the wine: roasted meat, freshly turned soil. He liked how the wine felt in his mouth, crisp rather than weighty, and how the wine evolved as he drank it, one sip after the next. These, he knew, were hallmarks of bottlings from the finest regions of Europe. When he wondered aloud why similar wines weren’t made in California, the other sommelier said it simply wasn’t possible. In Pursuit of Balance is controversial in wine circles. The name itself is polemical. 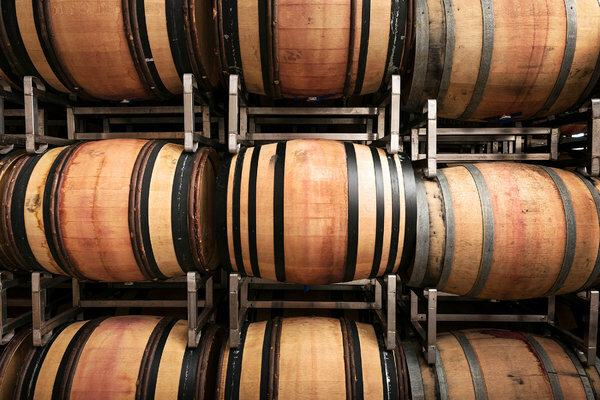 It seems to imply that those outside its ranks don’t mind if a single attribute of their wines (sweet fruit, perhaps, or alcohol, or the flavors that result from prolonged aging in oak barrels) dominates the rest. Aware that being on the intellectual side of a debate against pure pleasure tends to make his group look severe — the “anti-­flavor elite,” as Parker likes to call them — Parr took the stage in TriBeCa to spread good feelings. “It’s not a movement,” he said. “It’s just a discussion among friends.” Moments later, the moderator of a following panel, Ray Isle of Food & Wine Magazine, pushed back. “I had understood you were actually creating an IPOB church,” he said. In fact, group members do tend to proselytize, which befits a sectarian splinter group trying to challenge established orthodoxy. They point out that Parker’s influence has been so strong over the past quarter-­century that he has actively altered winemaking techniques — not only in Napa but also in regions from Europe to Australia. To sell expensive bottles, producers needed access to the American market. And to get that, they needed Parker. In 1978, while working as a lawyer for a Baltimore bank, Parker started a newsletter called The Wine Advocate. The name played off his occupation as an attorney, but it meant more than that. Convinced that many highly regarded producers were passing off thin, unappealing wines as fashionable, he created a 100-­point scoring system and then wielded it like a truncheon. He awarded high numbers to wines that tasted the way he believed good wines ought to taste. He punished others with scores in the 70s and 80s and biting insults to match. Parker’s taste has always been broader than his detractors like to admit. “It’s simplistic to say that Bob just wants fruit bombs,” says Jeb Dunnuck, who writes reviews for The Wine Advocate. But the wines that receive Parker’s highest scores — those 98s, 99s and 100s that have turned previously unknown producers into cult favorites — are typically the most intensely flavored and come from places, like Napa, where the grapes are most consistently ripe. As we spoke, a swirl of sommeliers surrounded us, most of them (or so it seemed to me) barely old enough to drink legally. A generation ago, only about five working sommeliers existed in New York. Now they’re everywhere — six alone at a single restaurant, the Modern. Their emergence as independent voices, influenced by their curiosity more than by any pronouncements by Parker or other critics, has helped the Balance group get its wines before a generation of drinkers open to all sorts of guidance. These sommeliers have studied wine as they might otherwise have studied Renaissance art; their ambition is not to compile a wine list but to curate one. As a group, they scorn wines, even tasty ones, that lack a sense of place. If Santoro was going to put a wine from Spain on her list, she said, it should taste Spanish, not like a Spanish version of a California cabernet. The day after the Balance event in New York, I flew to London to attend the Taste of Greatness Masterclass, held at the Great Hall of the Royal Courts of Justice. This, along with a separate $2,500 dinner at a restaurant with two Michelin stars, was the European portion of The Wine Advocate’s Grand World Tour, an intercontinental series of events in which Parker, whose exhaustive tasting-­and-­writing regimen seems to leave little time for public appearances, could bestow his wisdom to well-heeled wine ­drinkers. Ten wines, deemed perfect or near-­perfect by Wine Advocate reviewers and validated by Parker’s palate, were poured for some 500 attendees in a room with the majesty of a Gothic cathedral. Despite the absence of food of any kind, not even the crackers or bread often served at such functions to neutralize the flavor of one wine before another is sampled, those attending paid the equivalent of $700 to taste them. Now 67, Parker recently sold control of The Wine Advocate to a group of investors based in Singapore, but he remains its undisputed voice. He has reacted to the growing popularity of wines with modest alcohol, less intense flavor and occasional faults — and the accompanying diminution of his influence — with undisguised aggression. “After 35 years I had thought there was no longer room for revisionist history, outright distortion, deception and clever scams,” he posted on the bulletin board on his website last year. At many of the Napa Valley properties that Parker helped make famous, tours and tasting rooms have created a lucrative secondary business. Like most wineries owned by Balance members, though, Steve Matthiasson’s, called Matthiasson, feels more like a dairy or an apple orchard than a tourist attraction. “It’s just not the business I’m in,” he told me. When I visited, I drove up the driveway of his home inside the Napa city limits and walked around back, past a vegetable garden. We sat at a wobbly formica table outside a barn filled with discarded furniture. I could have been at a farm that was preparing for a yard sale. His wines seem equally out of place in Napa. Several are made from grape varieties that most wine drinkers have never encountered, like ribolla gialla, which is rarely found outside the Italian region of Friuli. The alcohol in all of his wines is under 14 percent. We continued our conversation over lamb sliders with goat-­milk feta at Farmstead, a restaurant a short drive up the valley in a town called St. Helena. After looking intently at the wine list, Matthiasson identified a syrah that was similar to his own style of wine. It was less than 13 percent alcohol and had the vibrant color of a particularly strong glass of Kool-­Aid. After an initial taste, I drank it in gulps, like a beer. It reminded me of a wine I might be served in a carafe at an al fresco lunch in southern France. It turned out that Matthiasson and two simpatico winemakers had eaten at a restaurant where she had worked and introduced her to a style of California wine that she didn’t realize existed. She remembered tasting an uncommon trousseau gris, some low-­alcohol syrah and Matthiasson’s oddball white and red blends. “I was like, ‘I’m in heaven right now!’ ” she recalled with a shriek. The other customers on the patio stared. After lunch, I crossed the valley to Silverado Trail. Amid the vines sat grandiose architectural creations, housing some of California’s most lauded wineries. I passed fake chateaus, concrete bunkers sunk deep into the soil and too many metal gates to count. At Shafer Vineyards, a souvenir rack in the lobby sold Doug Shafer’s book about a life in wine, as well as baseball caps to advertise a wearer’s status as a Shafer loyalist. I was sent upstairs, where soft music emanated from invisible speakers. Shafer’s wines didn’t surprise me or make me think as much as Matthiasson’s, but they tasted really good. I wasn’t sure I could identify the specifics of the hill on which the fruit had grown, despite Shafer’s prodding. But even through all the alcohol, I could certainly taste the presence of Napa Valley. These wines, it seemed to me, could come from nowhere else. If that’s one test of a great wine for Parr, they would pass it. Besides, I couldn’t stop sipping them. Not long ago, Parr served me dinner at his rented home in Santa Barbara. With jazz playing on a stereo, we sat on the terrace overlooking a garden and the treetops beyond. For 18 years, Parr told me, he worked in restaurants nearly every night. He rarely had time to sit at home, sip wine and watch an evening settle in. As if to make up for that, he opened a succession of rarefied bottles, five or six in all, including a 2000 Château Magdelaine Bordeaux and a 1985 Pio Cesare Barolo. All of them, I noticed, were imports from Europe. After we ate, Parr put on Louis Armstrong and poured his own wines. The various Domaine de la Côte releases, each from grapes grown in a different vineyard, struck me as so diverse that I never would have known they were made by the same winery. One seemed to taste more like minerals than fruit. Another was light and refreshing. A third seemed virtually flavorless, as if the wine wasn’t even ready to drink. It would be entirely possible for a customer to be entranced by one, yet find another actively unpleasant. Parr nodded his approval when I told him that, because it meant the vineyard sites were showing through in the wines. But as a business model it seemed perverse. Selling the wines for $45 to $90 a bottle, Parr could hardly expect consumers to use trial and error to figure out what they liked. How, I asked, could anyone have any idea which style she might prefer? “We don’t make these in any style at all,” he responded. “They are what they are.” He took a sip, and I waited for him to continue. Behind us in the living room, Armstrong rasped his way through “Mack the Knife.” Birds squawked in the trees. Parr, seemingly lost in thought, took another sip. While I waited, I did, too. After a while, I realized that he had finished thinking about the question. He wasn’t going to say any more. The wine was the answer. Bruce Schoenfeld, whose last article for the magazine was about screwball pitchers, writes frequently about wine.